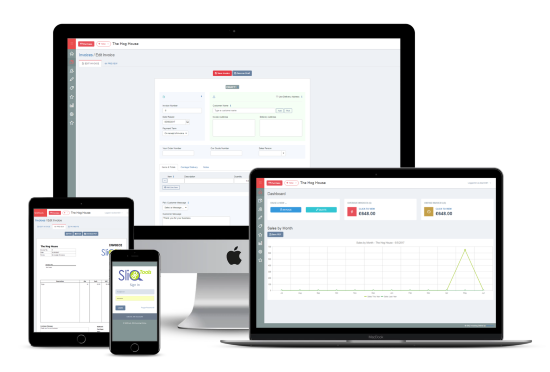 SliQ Invoicing Online is a cloud-based invoicing software. All your data is held online in the cloud in your own password-protected account meaning that you can log in from any device with a web browser anywhere in the world to do your invoicing. 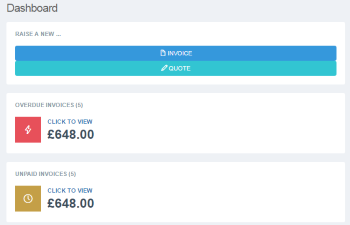 Our invoicing software lets you raise quotes and credit notes as well as store a database of standard products and customers for quick selection when raising invoices. SliQ Invoicing Online also lets you record payments and easily find out who still owes money and set payment terms to track when customers are overdue on payments. While the emphasis on our software is on ease of use, SliQ includes the capability to invoice customers in different currencies as well as to have multiple people raising invoices simultaneously for a business. 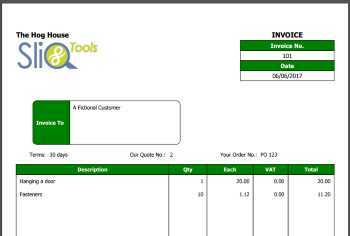 A selection of professional invoice templates are supplied. Choose a template for use with or without your own logo. A range of reports are included allowing you a view of your business by customer, month as needed. The dashboard provides a quick overview of your business and customers while one click after login lets you raise an invoice. Clicking the button to the right will take you to our registration page.